Reception to the "new" Apple Mac Pro has been mixed at best. We've already suffered through delays and questioned the upgrade potential. 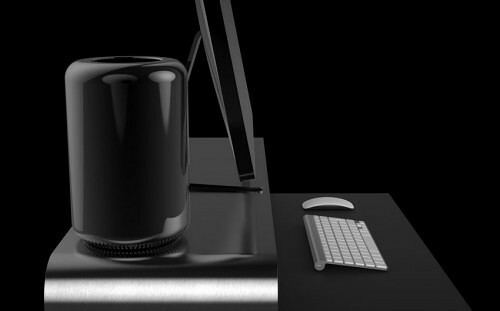 Now, it's perfectly understandable that someone buying a cylindrical Mac Pro would be interested mostly in Mac OS, but what about the Windows love? If you were hoping to do the Windows 7 thing, you're going to be sorely disappointed. It has been confirmed that Boot Camp for the new Mac Pro will not have any support for Windows 7 at all. As can be expected, this also means that it'll have zero support for any older versions of Microsoft's operating system either. Rather, if you must do the Microsoft dance on your shiny black trash can and you want to do it through Boot Camp, the only support will come by way of Windows 8 instead. I guess that's something. If you happen to have any of the older Mac Pros, however, you're still perfectly fine doing Windows 7 or (and I don't know why you'd punish yourself like this) Windows Vista via Boot Camp. It's just the new version that is affected. Maybe you are better off building your own Mac Pro instead.